Turkish prosecutors issue arrest warrants for more than 150 people accused of ties with U.S.-based cleric Fethullah Gulen. Turkish prosecutors have issued warrants for the detention of more than 150 military officers, teachers and trade unionists who are accused of ties with U.S.-based cleric Fethullah Gulen, The Associated Press reported Friday, citing the Turkish Anadolu news agency. Detention warrants were issued for 16 navy officers — all of whom were later taken into custody. Seven were on active duty, while nine had been previously discharged, according to AP. Separately, 66 dismissed teachers and 72 members of a trade union were also ordered detained. Gulen, a longtime rival of Turkish President Recep Tayyip Erdogan, currently resides in exile in the United States. He leads a popular movement called Hizmet and split from Erdogan over a corruption scandal in 2013. 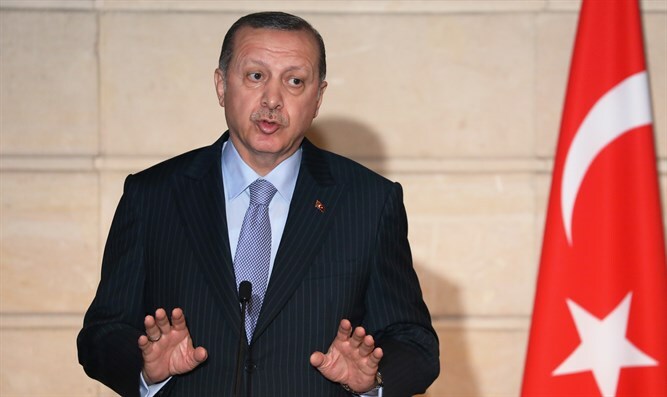 Erdogan has long accused him of running a parallel state from abroad. Gulen was also accused by Turkey of orchestrating the failed coup plot in July of 2016. The cleric, who denies the claims, has hinted that the uprising by members of the country’s military could have been “staged” by the government. Turkey launched a massive crackdown after the 2016 coup, resulting in about 50,000 arrests and the dismissal of more than 110,000 people from state jobs. Erdogan declared a three-month state of emergency following the 2016 coup attempt. It has since been extended six times.